The Lean Group NZ has been providing Lean training to organisations throughout New Zealand since 2007. Having supported over sixty companies on their Lean journey, helping achieve strategic goals through the application of Lean thinking, the Lean Group works closely with companies to design specific programmes to suit their current growth stage and situation. Based in the beautiful, centrally located town of Cambridge – famous for horse studs and most recently the Avantidrome – the Lean Group travels extensively throughout New Zealand. There are no barriers to travelling to help support a client achieve their goals. Ian is an experienced manager in both the manufacturing and service sectors, helping companies that are both large and small. He has a proven track record of delivering improvement projects throughout companies utilising improvement techniques and project management skills. He has worked in Europe in a number of industry sectors including automotive, telecommunications and foundries. 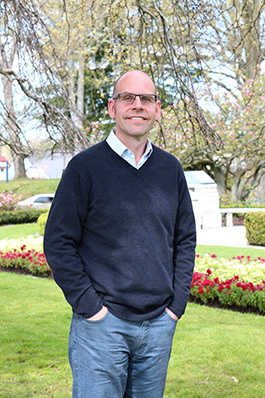 Since moving to New Zealand in 2004 Ian has worked in the service sector focused on strategic and process improvement. Ian has experience in the management of supply chain improvement clusters focusing on productivity improvement both strategically and at the process level. He is an experienced project manager and was involved in the design, procurement and establishment of a manufacturing plant in the Middle East. Project management of improvement programs in supply chain clusters. Strategic change management at a local body council, guiding the organisation through the change journey. A proven track record in identifying and implementing improvements to achieve QCD goals in the manufacturing and service sectors. Facilitator in Lean Manufacturing techniques including 5s, Value Stream Mapping, Poka Yoke, Root Cause Analysis and 5 Why’s. Establishment of a manufacturing facility in the Middle East, including factory design, plant procurement and staff training. Quality manager to ISO 9001 standards for a first tier automotive supplier. Trained as a Six Sigma Champion by Caterpillar Inc.